HP 8510w GC115EA#ABD 15,4'' WUXGA+ T7700 2GB 120GB Quadro-FX570M FP BT 3J.Gar. XP-Prof.
Dell Latitude E6500-06 15,4'' WXGA+ WLED T9400 4GB 320GB NVS160 6c VistaUlt 3J.VorOrtGar. Thinkpad T61p CTO 15,4" WUXGA T8300 2GB 100GB-7200 NVidia-FX570M 9c XP 3J.G. Dell Latitude E6500-07 15,4'' WUXGA 1920x1200 T9400 4GB 320GB NVS160 WinXP 3J. Gar. IBM Lenovo Thinkpad Z61p UA3KSGE 15,4'' WUXGA T7200 2GB 100GB V5200 DVDRW WL BT FP 3 J. Gar. 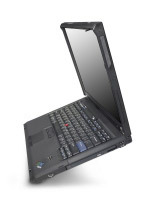 IBM Lenovo Thinkpad Z61p UA3GEGE 15,4'' WUXGA T7200 2GB 100GB V5200 DVDRW VISTA-Bus. 3 J. Gar. IBM Lenovo Thinkpad Z61p UA3CTGE 15,4'' WUXGA T7400 2GB 100GB V5200 DVDRW VISTA-Bus. 3 J. Gar. Dell Precision M4400-06 15,4'' WUXGA RGB-LED X9100-2x3,06 4GB 320GB FX1700M 6c WinXP 3J.VorOrtGar. HP Elitebook 8530w FU46CTO#ABD 15,4'' WSXGA T9800 4GB 320GB-7200 FX770M WinXP 3J.Gar.